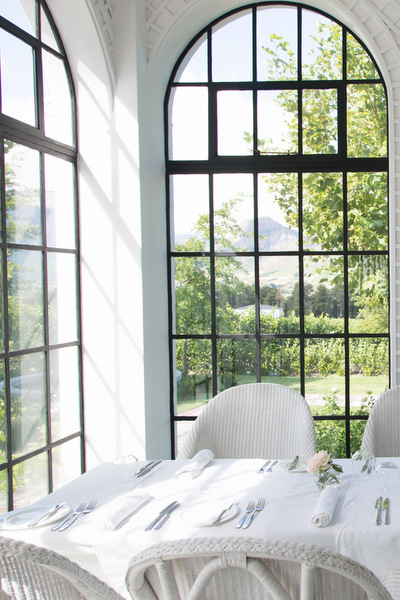 From its elegant French-influenced gardens and interiors to its flutes of fizz, a Franschhoek family’s recently completed farm is luring visitors with its Gallic charm. 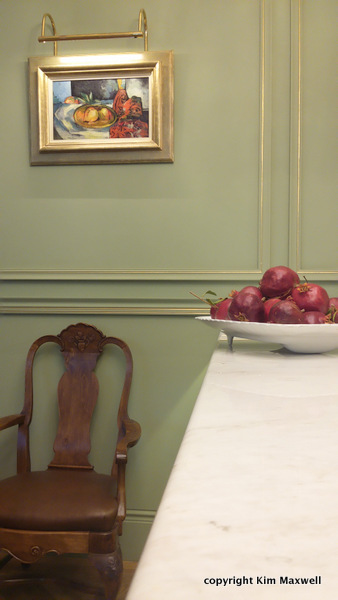 It has the feel of an established property that has been there forever. Yet Le Lude’s split-level cellar was built only in 2012 so the Barrow family’s first Franschhoek methode cap classique (MCC) could be made — they’re mad about Champagne and set on producing a worthy local equivalent. The cellar’s upper section is now linked to the Parisian-green tasting room and white Orangerie restaurant — additions that opened to the public in November 2015. Ferda Barrow says there was nothing to see when she and attorney husband Nic started building. ‘Four years ago we had to do the MCC so we built the cellar. We gave our architect some instructions but it was really about formalising our design ideas,’ she says. They built their adjacent home two years ago. Winemaker Paul Gerber produces an excellent leaner, dryer style of MCC Brut and Rosé non-vintage under Le Lude’s label. Initially the plan was to offer only bubbly tastings with canapés for visitors, including those hopping off the Franschhoek wine tram. But when the Barrow’s chef daughter Nicolene Barrow became involved, they added a small restaurant. The MCC and canapé concept is well worth doing — flutes are paired with a choice of three of Nicolene’s canapé plates. When Le Lude winery was purchased in 2009, it was an overgrown plum orchard. The property is just more than 6ha and 3.2ha is under vine: half planted to Chardonnay, plus Pinot Noir and Pinot Meunier cultivars. The farm buys in 95% of their grapes. Some of the MCC special bottlings use cork instead of crown caps for their secondary bottle fermentation — Le Lude were pioneers of this French agrafe method used in South Africa. ‘Le Lude refers to the Loire valley with its beautiful little châteaus and lovely gardens,’ says Ferda, an accomplished gardener. The family started the Klein Karoo Nationale Kunstefees in Outdshoorn. They also run a few country houses and hotels there. Ferda’s other daughter Olga Barrow designed the interiors for Le Lude’s tasting room and restaurant. 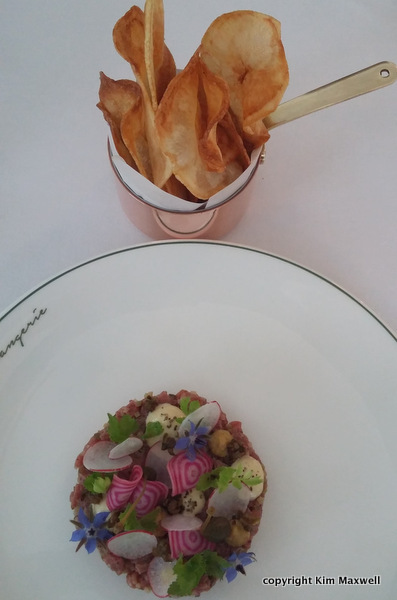 Orangerie’s lunchtime diners look out past white benches to Ferda’s pergolas and rose gardens enclosed by hedges. Chef Nicolene credits her time at Michelin-two-star Le Gavroche in London for shaping her classic style. 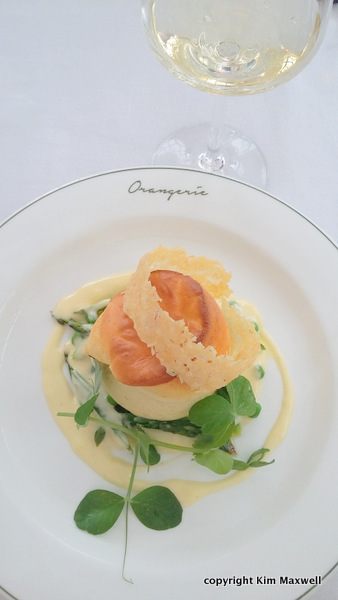 Orangerie lunch menus start with home-baked rolls and beautifully plated steak tartare, and finish with exquisite clafoutis desserts — there is a Gallic elegance to many of the dishes and sauces. ORANGERIE AT LE LUDE, Le Lude, Bowling Green Avenue, Franschhoek.